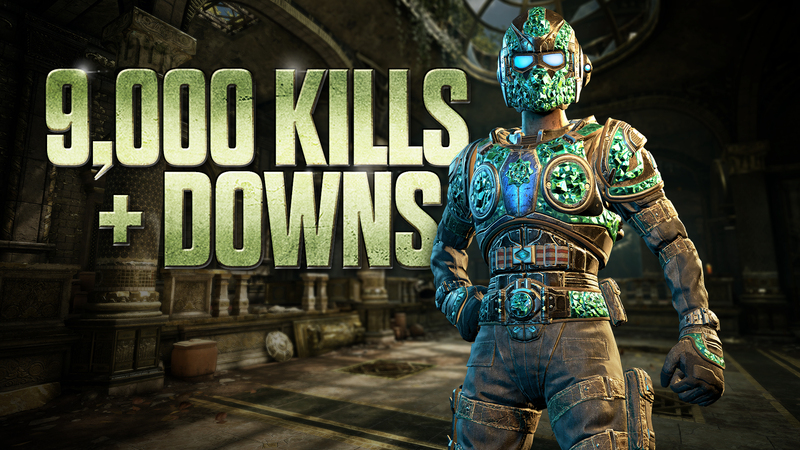 The Gears of War 4 Emerald Gear Character announced as a special unlock for those that complete the latest insane challenge. This special character won't be easy to obtain, but a nice long term goal for those that are still dedicated to the game. Beginning on November 9, 2018 a new Xbox Challenge will be available for Gears of War 4. It will require 9000 Kills or Downs in Versus Playlists by February 7, 2019. As is tradition you'll be able to track your progress on My Rewards and via the Xbox Guide. There are some neat rules regarding this special challenge and those are listed below. Be sure to check out our Gears of War hub for further coverage and future news on the game.